Reflections Around the Campfire: Another Favorite Place - RVParkReviews.com! Rather than just provide a complete list of my favorite websites under “Check out my favorite places!,” I decided to add them one at a time and let you know exactly why I like them. That way, you’ll be able to determine whether or not the site might be of interest to you. Besides, I believe that these sites do such an awesome job of providing information and/or entertainment that it really is a pleasure to bring them to your attention! RVParkReviews.com has become an invaluable resource for me whether I’m in trip planning mode or we’re traveling without reservations and simply need to find a place to spend the night. I’ve been known to spend hours digging up info on a campground that we may need for even just a night or two. I’ll bet you’re wondering why. Alan wonders why sometimes, too. But, truthfully, his idea of a perfect campsite and mine are pretty similar. 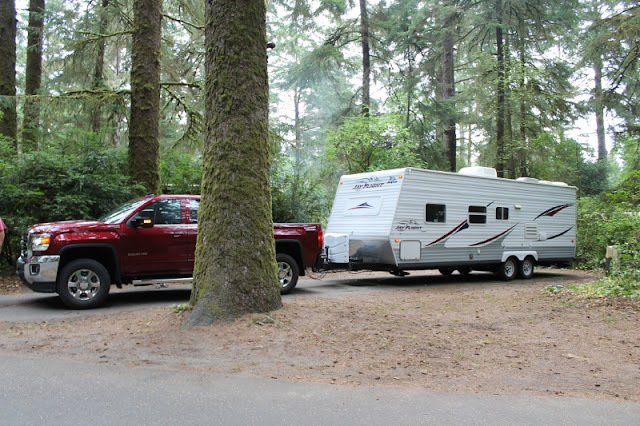 We enjoy the larger size and more natural surroundings of campgrounds found in State and National Parks. We’ll both gladly forego hookups for “a room with a view” and, of course, we both want someplace safe and quiet to lay down our heads at night. Although we do stay in privately owned RV parks when the need arises, we don’t generally search them out or require any of the usual resort amenities when we’re staying at one. Our perfect campsite would be on public lands - on a lakeshore or riverfront, deep in the woods or at the edge of a meadow with a view of the mountains. Because I feel so strongly about the sites we choose, I’m willing to devote time and effort to online research trying to match our preferences to campgrounds in the area in which we’ll be traveling. That’s where RVParkReviews.com comes in. Photos included in this post are all from campgrounds I found with the help of this extremely useful web site! 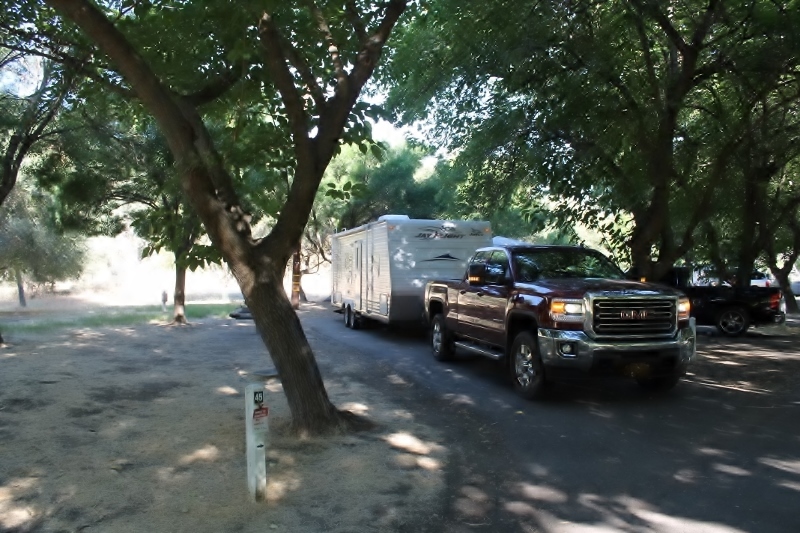 Reviews on RVParkReviews.com are submitted by fellow campers who have stayed at a particular campground and have graciously taken the time to post a review about the campground and their experience. It’s easy to search for a campground by choosing a state and city or town. RVParkReviews.com will provide a list of all campgrounds (both public and private) for which one or more reviews were submitted in that city/town and in the surrounding area. (You can also search by the name of a specific campground, if you’d like.) Many reviews offer information on the cost of the campground, how well kept it appeared at the time of the visit and how safe it was, the amenities that were available, a description of the type of site you might find and warnings about particular hazards such as a poor access for larger rigs, a railroad a little too close for comfort or a lack of good signage at the entrance. The reviews on RVParkReviews.com have not only helped me secure sites that fit our style of camping perfectly, but they have also prevented us from making choices we would later regret. I know that many RVers love spontaneity and traveling on the fly, but s-p-o-n-t-a-n-e-i-t-y is not in my personal dictionary and I’m just not well suited to that type of travel. As for Alan, he’s a smart man who subscribes to the maxim “Happy wife, happy life.” Not only does he indulge my addiction to research but, when we arrive at a campsite, he will patiently jockey the travel trailer until I’m perfectly content with the view from our windows. I married a good man, yes, I did! RVParkReviews.com allows me to research to my heart’s content and, when we roll into camp and my head hits the pillow, I’ll sleep well and wake up happy. Maybe RVParkReviews.com will become one of your favorite resources, too! You can link to RVParkReviews.com HERE or from the list of “My Favorite Places” in the right hand column of this blog. Thank you for visiting! May all of your campsites be perfect ones! 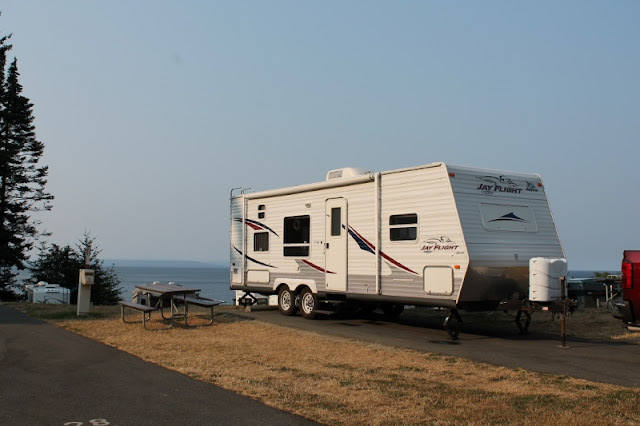 When we were RVing RV Park Review was a go-to site for us. I usually found the Good Sam Reviews overly optimistic and not nearly as accurate. Of course, everyone has different opinions about what is a good campground, but we were usually in agreement with RV Park Reviews. One complaint: everybody is calling their campground a "Resort." That word has lost all meaning when used for many of the places we stayed. I think that's called "creative marketing, Bob! But I much prefer the RV Parks whose reputations (not their fancy names) drive their business. I'm sorry to hear you're no longer RVing. I'll bet we would have really enjoyed a conversation around the campfire with you! I use RV Park Reviews, too, and consider it essential. Since you like public campgrounds, you may already be familiar with ultimatecampgrounds.com, a site that shows every public campground, including even municipal ones. I'm always happy to add resources to my arsenal of information - thank you! We've had great luck with town, city, county and regional RV parks out west. Here in the east, not so much. While the State and National Parks on this end of the country are gorgeous, local municipalities with campgrounds are fewer and farther between - especially here in the northeast. Considering the growth in the RV industry, I believe they're leaving a steady source of income on the table.